Single tickets will be available to non-pass holders 15 minutes prior to the film start time at Violet Crown. Pass holders must show up at least 15 minutes before show time to ensure a seat. 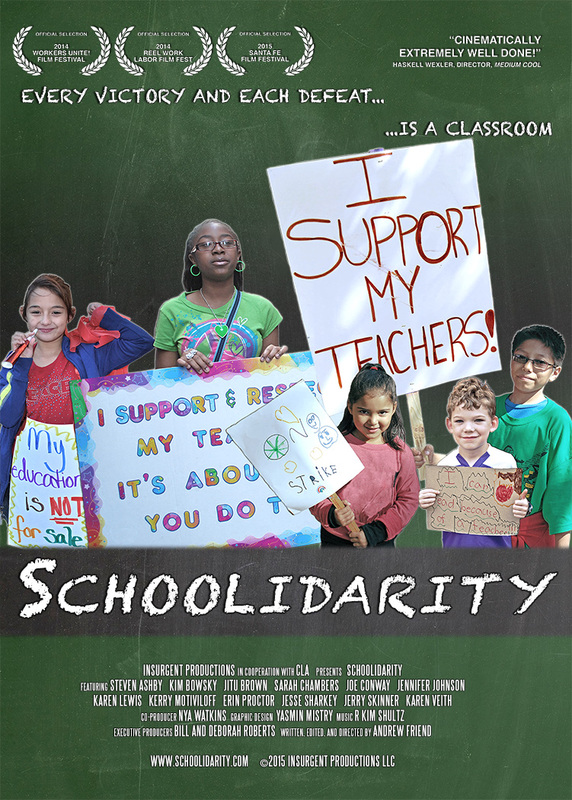 Schoolidarity explores the history of two intertwined social movements: the 2011 weeks-long fight by public employees in Wisconsin to keep their rights, and the long struggle by parents and teachers in Chicago to win equality in their public schools and democracy in their union. Told through the eyes of public school teachers fighting for their students, Schoolidarity documents the ascent of an activist teacher caucus in Chicago and their fiery president, Karen Lewis. Chicago’s public schools crisis is analyzed through the lens of the assault on public sector unions. The film celebrates the activism of teachers, union organizers, students, and parents who refuse to let their kids receive a bad education. It joins the national debate over public unions and school reform.